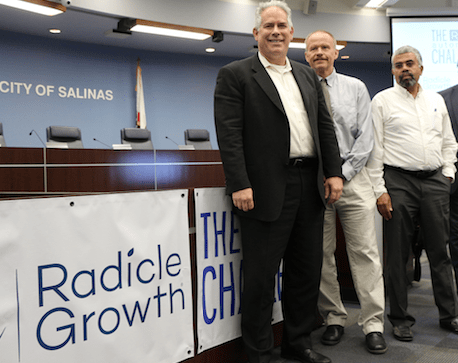 Here are some scenes from the Forbes AgTech Summit held in Salinas last week. 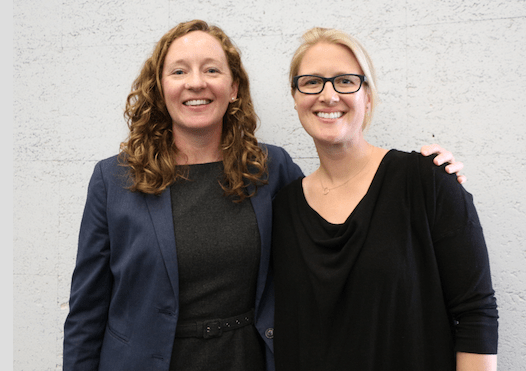 Ganaz co-founder Hannah Freeman with Nora LaTorre celebrate after winning the Radicle Challenge automation award, worth $250K in investment capital and scheduled trials in farms to pilot their software. Ganaz helps farms recruit and engage their workforces using a growing network of farm workers and social media integrations. GroGuru winners Patrick Henry, CEO, Jeff Campbell, Chief Scientist and Farooq Anjum, COO after learning they would receive $250K in investment capital and access to farm acreage to test their technologies. GroGuru uses a wireless underground sensor that can instrument, monitor, collect and analyze data and deliver real-time soil and water results. 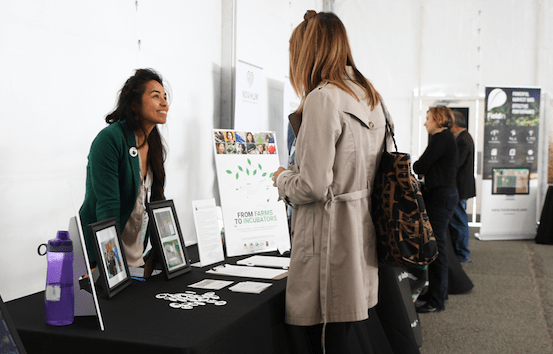 Ashley Gauer, representing From Farms to Incubators, greets a visitor to the Forbes Agtech Summit Technology Tent. From Farms to Incubators tells the stories of women and minority entrepreneurs in agtech. 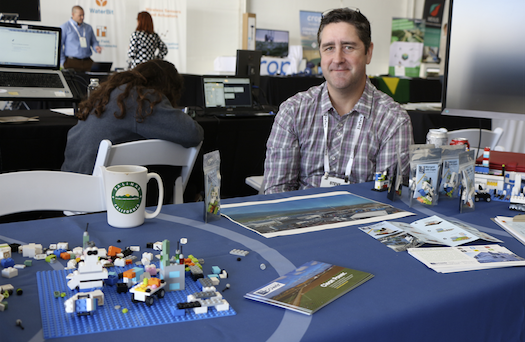 Concentric Project Manager Steve Farr was surrounded by Lego boards and packaged Lego swag in the Forbes Agtech Summit Innovation Showcase. He talked about the two Central Coast farms in Gonzales and San Juan Bautista that grow foods without fossil fuels. 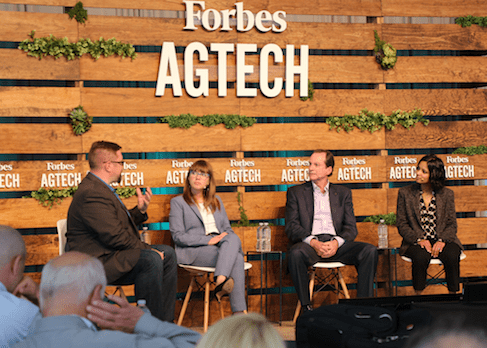 Moderator Alex Knapp guided the panel Down to Earth: Restoring the Health of the Soil, with panelists Sarah Bloch, Senior Scientist, Pivot Bio, Wayne Honeycutt PhD, Soil Health Institute and Poormina Parameswaran, co-founder Trace Genomics.